Trauma is the injuries suffered when a person experiences a blunt force. You may also hear trauma referred to as a "major trauma." Many trauma patients are the victims of car crashes, stabbings, and gunshot wounds. Trauma can also be caused by falls, crush type injuries, and pedestrians being struck by a car. For surgeons, extensive education is required in order to practice in their chosen field. As with all physicians, they first graduate from college with a bachelor's degree and enter medical school for four years. For general surgeons, five years of surgical training as a residency is required. 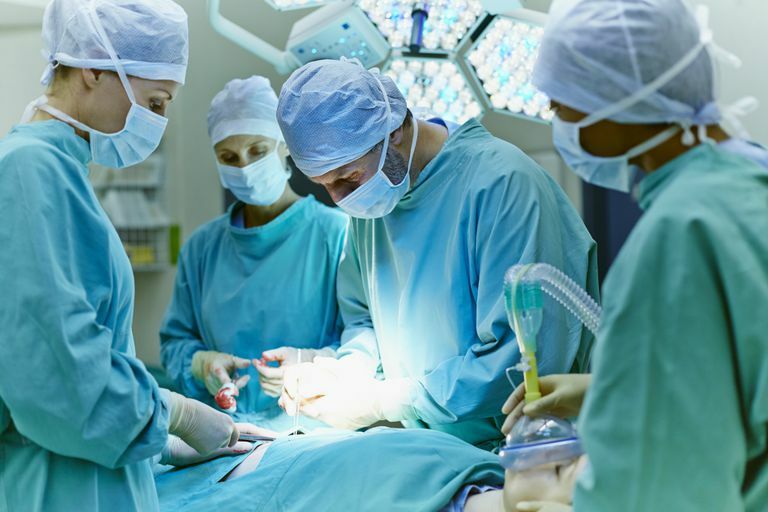 For surgeons who want to specialize, the same five-year residency is completed, followed by additional years of training in the area of specialization. Trauma surgery fellowships are usually one to two years long. Trauma surgeons often also serve a critical care fellowship. They take their boards for a certification in Surgical Critical Care. A trauma surgeon has a different set of skills and functions from an emergency room doctor. When you arrive in the emergency room for any complaint, the ER doctor will see you, stabilize your condition, examine you, and order tests and imaging studies. She will alert the specialists needed, which may include the trauma surgeon. The ER doctor's function includes referring you for admission or discharging you with appropriate treatment and follow-up referrals. What Kinds of Conditions Can a General Surgeon Operate On?